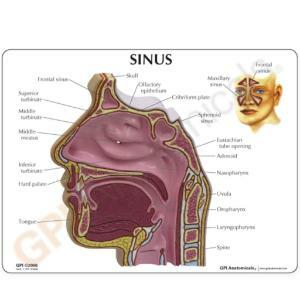 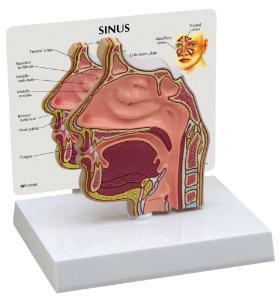 This life-sized model is a median section and shows the nasal cavity, soft and hard palate, uvula, eustacian tube, and pharyngeal tonsil. The back side of the model shows the ethmoid and maxillary sinus cavities. It is constructed in one piece and can be removed from its stand for easy examination.